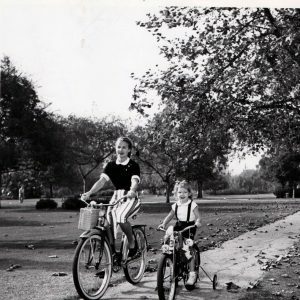 Mona Freeman and daughter Monie Freeman ride bikes. Happy Mother’s Day from Rides a Bike! 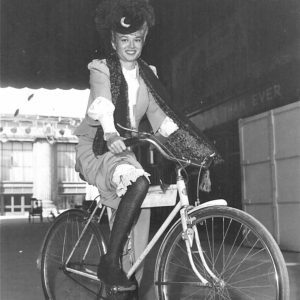 Mary Murphy rides a bike. 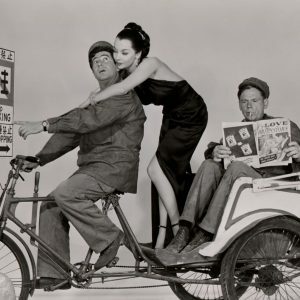 Harvey Lembeck and Mari Blanchard ride a pedicab, Tom Ewell reads Love Confessions.